WorkPac is Australia’s leading provider of human capital solutions to the mining, construction, engineering, oil and gas and healthcare sectors. We optimise productivity and mitigate risk in the people component of our clients’ business. For over fifteen years,WorkPac has delivered clients exceptional workforces to support the successful delivery of some of the country’s most significant mining and infrastructure projects. 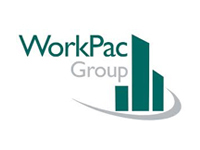 Established in Queensland in 1997, WorkPac has organically grown to over 35 locations in metro and regional Australia. We employ more than 250 full-time staff and manage a field-team workforce of over 4500 people across multiple client sites. A fundamental focus on keeping our people safe in the nation’s highest risk industries has led to our recognition as a leader in maintaining maximum safety and zero harm in the workplace.